Large covered front porch with room to relax greets you in this 3 bedroom + office + 3 car garage home. Engineered hardwoods on entire main level! Front office with french doors and lots of natural light. The kitchen is a cook's delight with gas cook top, double convection ovens and SS appliances. Perfect layout for entertaining - kitchen opens to great room and dining. Butler's pantry/large food pantry connects to formal dining. So many options with 2 loft areas: game room or media room or private family living space? 2nd office or cozy nook? You choose! Upstairs laundry with front load washer/dryer. Spacious bedrooms! Covered back patio includes a 3 year new hot tub! Nest thermostat and 2 HVAC systems keeps the home the correct temperature and energy efficient! Neighborhood pool is an easy walk + close to Rhyolite Park which offers picnic tables, playground, hiking and biking. 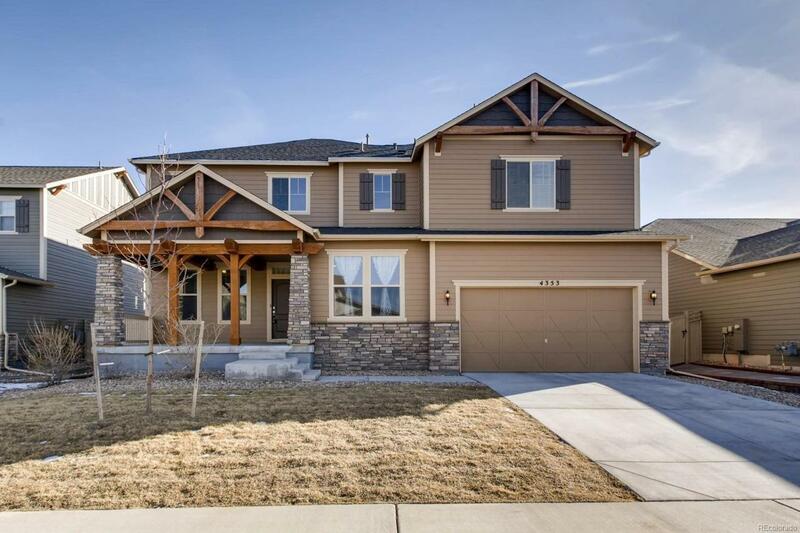 Close to downtown old Castle Rock for dining and shopping and World Compass Academy!